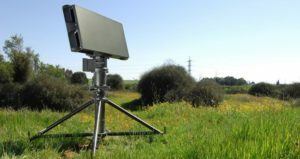 ELTA Systems, a division and subsidiary of Israel Aerospace Industries (IAI), has unveiled a new and enhanced configuration of its Drone Guard system which detects, identifies and disrupts the operation of UAS and small drones. Most recently, the system was offered to the Gatwick Airport Authorities for placement in the airport. Drone Guard can detect and intercept drones using low level jamming and take-over techniques. 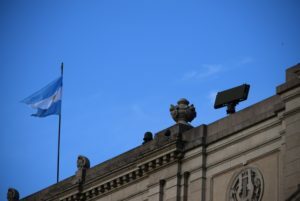 Already successfully proven in foiling several drone incursions into closed airspace during the recent G20 summit in Argentina, ELTA’s Drone Guard is globally the most sold anti-drone system for military, homeland security and civilian applications. With hundreds of units already operational across the world, the new modular configuration has added a Communication Intelligence (COMINT) system for more precise detection, classification and identification based on broadcast frequency and unique communication protocol analysis and verification for neutralizing threats. Furthermore, the Drone Guard’s 3D Radars, Electro-Optical (EO), and Jammer systems have all been upgraded with bolstered capabilities. The use of commercially available UAS and small drones has increased dramatically over the past few years as these platforms have become a potential threat to sensitive facilities, crowds, high profile individuals and other aircraft, due to their small size, slow velocity, and low altitude flight. Small drones can be further used for hostile applications such as unwanted intelligence gathering, smuggling and even as weapon carriers. ELTA has responded to these challenges with new and enhanced Drone Guard capabilities. In addition to the current radar, EO and jamming capabilities – a hostile threat can now also be detected, classified, identified by means of the enhanced COMINT system. The system can effectively jam or disrupt the drone’s control channel and navigation, by supporting an array of communication protocols that can ‘fend off’ a single drone or even a swarm of drones from the guarded premises.